The system used in the project was developed and set-up in conjunction with OpenEnergyMonitor, open-source energy and environmental monitoring. The hardware is based on an Arduino an open-source microprocessor development board. 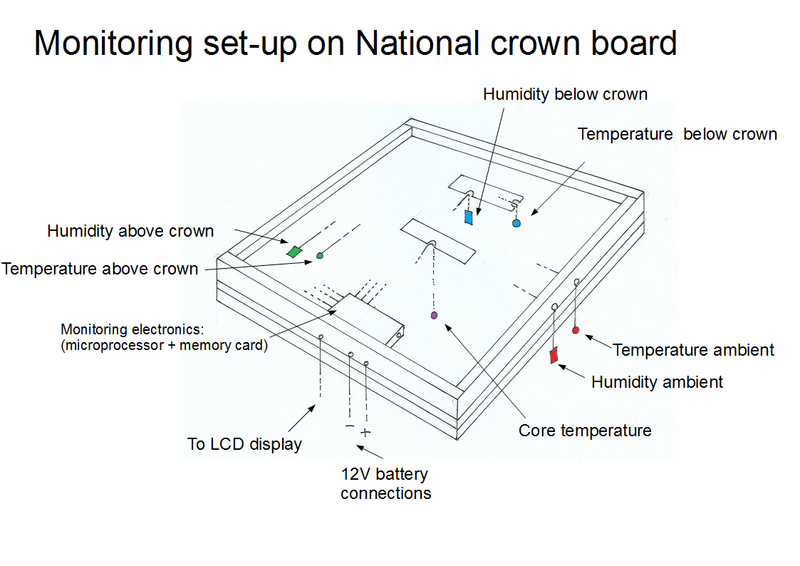 Data is obtained from 5 x DS18B20 temperature sensors, readings are taken every 60’s. 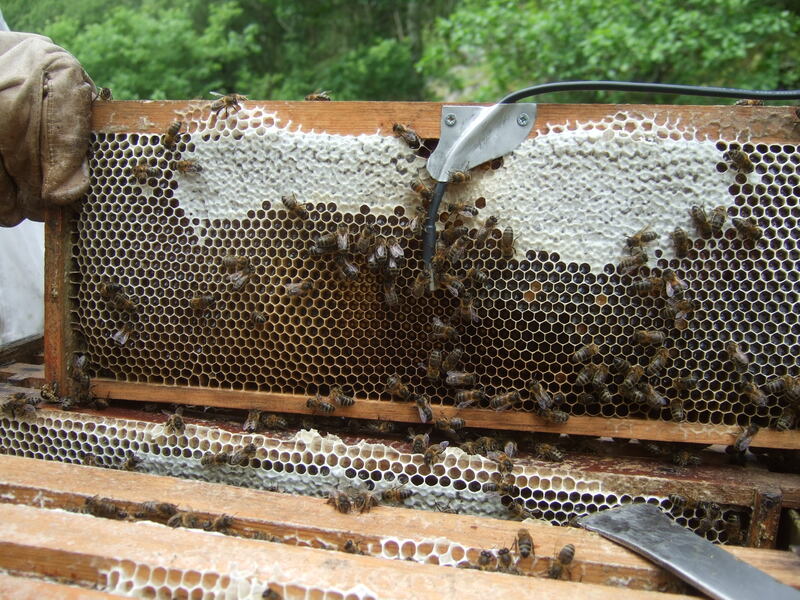 The equipment in the hive is powered by a 12V lead acid battery which is kept topped up by a small solar PV panel. 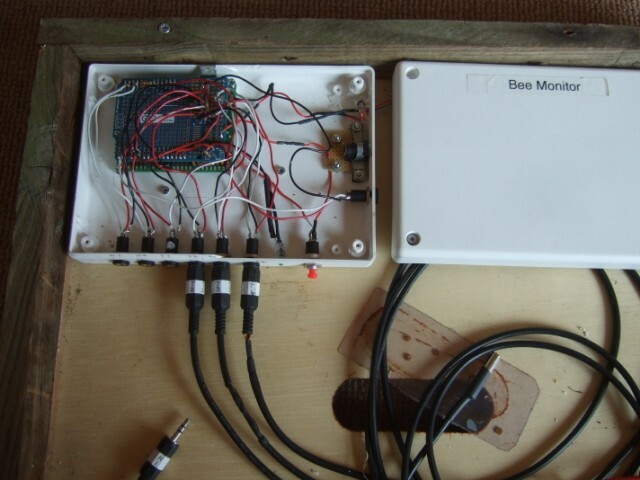 The data is transmitted from the hive via ASK 433Mhz RF link to a receiver Arduino board about 50m away which is connected via USB serial to a web-connected Raspberry Pi (Linux credit card sized mini-computer) running OpenEnergyMonitor’s EmonHub software. The serial listener in EmonHub is used to decode the data and post to Emoncms.org open-source web-application for logging, graphing and analysing. Arduino sketch open-source code and further info on Raspberry Pi EmonHub setup can be found on the BeeMonitor GitHub repository. 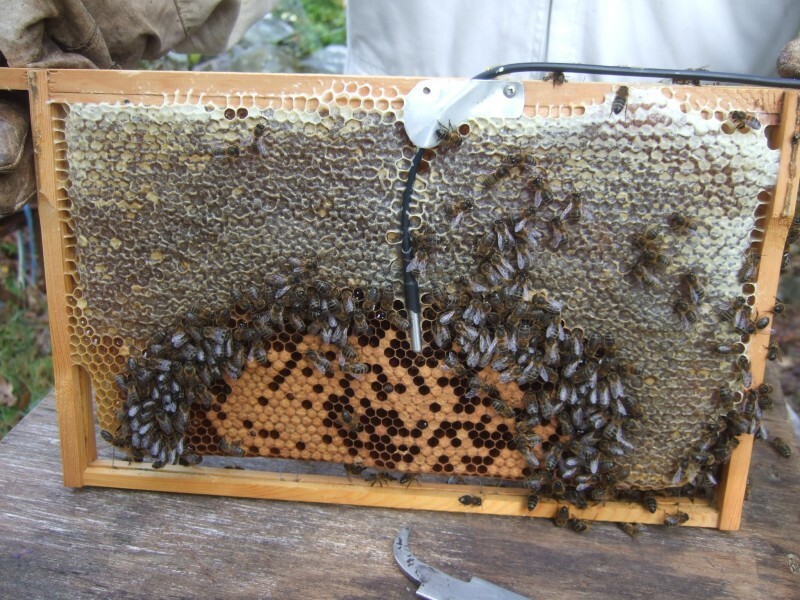 you say that :”equipment in the hive is powered by a 12V lead acid battery which is kept topped up by a small solar PV panel.can you harvest thermoelectric from the bees/hives to power the equipment?